Beautiful freshwater lot for sale in Port Charlotte, which has been voted for one of the best cities for retirement in U.S. Invest or build your dream home in this nice, quiet, residential part of town! This lot is a short distance from shopping, dining, banking, etc., and close to downtown Punta Gorda, The Harbor, World Famous Rotonda, beautiful beaches and the Gulf of Mexico. Close to golf courses, parks and schools, this lot offers something for everyone! 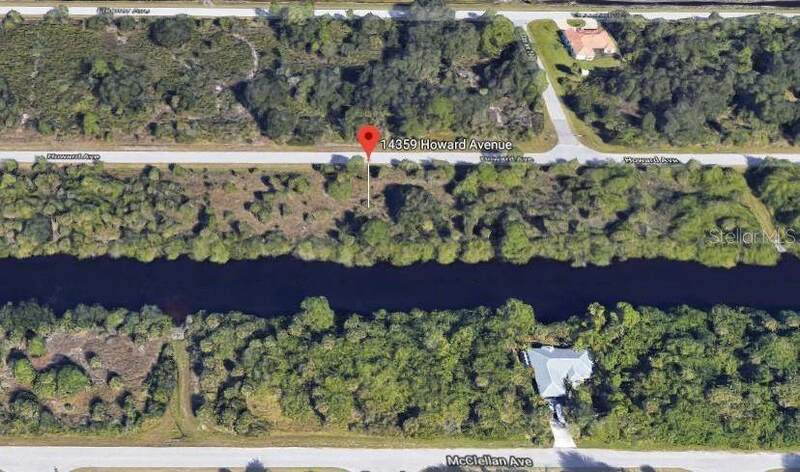 WATERFRONT LOT ON DOOLITTLE CANAL!! Fishing from your own backyard. No HOAs, CDDs or deed restrictions! New construction is everywhere you look and you can be part of the action. Information about local builders is available upon request.